Sermon preached on 2 Samuel 23:8-39 by Rev. 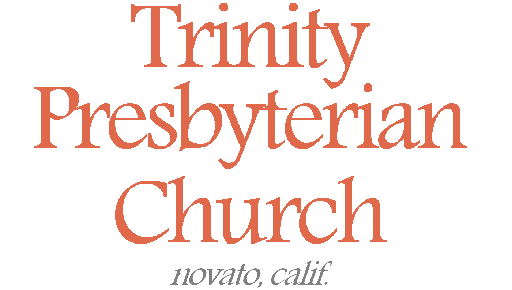 W. Reid Hankins during the Morning Worship Service at Trinity Presbyterian Church (OPC) on 7/17/2016 in Novato, CA. For God and country. That’s a slogan that has explained the motivation for many of our country’s war heroes. I suspect it’s a slogan that would explain the motivation of the mighty men in this passage as well. And since back then they lived in a theocracy, their country was also their church. And so there is great significance to the service of these mighty men, even religious significance. We’ve spent a lot of time in 1 and 2 Samuel thinking about mighty king David and how God used him for good for God’s people. But now we get a chance to think about all the help David had. Mighty David who killed his ten thousands didn’t do it alone. God supplied loyal and capable men to serve the Lord under his leadership. And so this passage will in turn call us to remember our call to serve our Lord. By the grace of God, may we do so with the might and courage and loyalty that we find so nobly illustrated in this passage. So then, let’s look first at the thirty mentioned in this passage. This is primarily verses 24-39. There you start the long list here of names. It starts with Asahel, Joab’s brother, and says he was one of the thirty. It goes on to list many others who were on this honorable list of thirty. What is this group of thirty? Well, evidently David, among all his military forces, had a group of thirty mighty men that were particularly renowned soldiers. We see a similar passage and list of the thirty in 1 Chronicles 11 too. This group of thirty is referenced elsewhere too. And so we see that David had this special group of might men. That being said we are not entirely sure what all it meant to be on this list. Was this something like a special forces type of unit for David like the Navy Seals or the Army Rangers? Or were these essentially his military leaders? Or was it simply a list of people who were recognized for some important military accomplishment, like how we decorate distinguished soldiers today with Medals of Honor and Navy Crosses? The answer is that we don’t know. Some of these people we are told that they held specific roles. Naharai in verse 37 is listed as the armor-bearer for Joab, for example. And of course, we know that Joab was the head commander of the army. Others in other passages are mentioned as having certain roles, for example there are a number mentioned in 1 Chronicles 27 as being commanders of military units. So beyond the various references we find here and elsewhere about specific people, we don’t know if there was some specific duty required of the David’s thirty might men. Certainly at a bare minimum, to be on this list represented a great honor. Let me make a few passing observations about this list of the thirty. First, it includes more than thirty people. The final verse summarizes by counting thirty-seven in all. That could mean that the number thirty was just a round number to refer to this group of honored men. Or, maybe more likely, it reflected that as people died in the group of thirty that they would get replaced. We see on this list at least two people we know about their dying. First, we see Asahel, brother of Joab and Abishai, listed in verse 24. But Asahel died in battle serving David before David was even king over all Israel. And then second we see Uriah the Hittite in verse 39, which we know he died in battle too. So likely this list didn’t represent who were a part of this group of thirty at just one moment in time, but a log of all who were ever a part of David’s famous “thirty” throughout David’s reign. And so having this extended list of the thirty listed here at the end of David’s career again causes us to look back upon the career of David. It causes us to honor and memorialize the different people that served with him throughout his life. A second observation of this list is that it contained a diverse list of people. What I mean is that if study the names in depth, you see that it wasn’t just all people from David’s family or even his tribe. It represented a wider array of Israelites from different tribes and places. And not only that, you have several foreigners on this list even. I think that is great to think about. Even in the Old Testament there was a place for Gentiles to be able to come into the community of God’s people. And not just for them to be a part of the people, but to be serving in important ways and honored greatly in the success of their service. If that was true back then, it certainly is all the more true for us now in serving King Jesus. The last thing I wanted to note in the list of thirty is that Uriah’s name is last. I don’t think this is coincidence. To put Uriah the Hittite’s name last is to make sure his name doesn’t get lost in the long list. That means you won’t miss that this highlights that when David sinned against Uriah via stealing his wife and then murdering him, that David did this against one of his most honored war heroes. That reminds us again of the failings of David. As much as we are ending this book on David’s career and many ways looking positively back on his reign, we must not also forget his royal failure with Uriah. David sinned greatly there. As honorable of a king that David was, he was a human plagued with sin, the divinely inspired author draws your attention to it yet again. And so the application that I think of in this first point is one of king and country. And I don’t mean country in terms of the United States, though certainly if you are a US citizen you should serve your country too. But I think this list of thirty reminds us to serve king and country in the sense of King Jesus and the heavenly country that we are a part of it. Christians have a heavenly citizenship and Christ is our king. King Jesus calls us to serve him in advancing his kingdom. And so if fallible King David was worthy of such mighty service as these thirty gave him, think of how much more worthy King Jesus is. King Jesus is of the line of David, but without the failings of David like we just were reminded of. Okay, so the second point for today is to notice the five people especially highlighted here. Verses 8-12 list a group of three that were particularly highlighted among the thirty. And then verses 18-23 mention two more noteworthy men that weren’t in the same class of the three, but still especially noteworthy and distinguished. Notice these five men with me. First you have Josheb-Basshebeth in verse 8. He killed 800 men at one time! What an accomplishment! Then you have Eleazer mentioned in verse 9. He led a great victory against the Philistines, when the rest of the troops had lost heart and retreated. Eleazer fought back so hard against the Philistines that his hand somehow got stuck to his sword! And this resulted in the Israelite army coming back and participating in the plunder of the enemy. And then the last of the three is mentioned in verses 11-12. There Shammah successfully defended a lentil field against the Philistines when the rest of the army had already given up and fled. Then you have the last two mentioned. In verse 18 we read of Abishai, Joab’s brother. Remember he’s the one who was there with David when he could have killed Saul, but David held him back. He’s the one who twice wanted to kill Shimei who cursed David, but David held him back. Well, here Abishai is honored for when he killed 300 men at one time and became a captain because of it. And then you have Benaiah in verse 20. It mentions several mighty deeds that he did, including killing two war heroes of Moab, killing a lion, and killing some mighty Egyptian with the Egyptian’s own weapon. David appointed him over his bodyguard. As we think of these three and then of these two, I think it is important to note verse 23. Speaking of Benaiah, one of the last two mentioned, it says that “He was more honored than the thirty, but he did not attain to the first three.” I think this is a helpful thing to notice. This list of thirty is obviously an honor roll. To be on this list of thirty meant you had served King David well and were recognized for it. But in this list of the mighty men, there were some even more honorable than others. Verse 23 gives you three classes of honor. You have these three that seem to be the most honored, then you get the sense that the next two mentioned were not quite as honored as those three, but more than the rest of the thirty. Then you have the rest of the thirty. Again, all were honored greatly. But some were honored even more than the rest. It seems that everyone on this list were commended by the king, but some were especially commended. And so the application in this second point is to remember the principle in Scripture that we see of reward. We find passages in Scripture that speak of degrees of both punishment and reward. As Christians, we amazingly see that even though our salvation is all about God’s grace, that his grace so works in us that we are called to strive for the greater rewards. In other words, we are to strive for greater commendation from the Lord. The concept of degree of reward is given in Scripture to motivate us to strive by grace to greater and greater success in serving the Lord. Now, I say this with an interesting qualification. You see we find a principle in Scripture that tells us we should have great humility before God in terms of our service to him. For example, Jesus parable in Luke 17 says that a master doesn’t thank a servant when he’s completed his assignments from the master. Jesus’ says that the servant’s attitude should be one at the end that says, “We are unprofitable servants. We have done what was our duty to do.” And so from our perspective, we realize that our best service to King Jesus is hardly deserving of a reward for at best we were just doing our duty. We as creatures are fully obligated to serve our creator, and shouldn’t expect a reward for doing what was simply our duty. And yet, and yet, as true as that is, we also see Jesus teach the parable in Luke 19 where the master rewards the servant who exercised good stewardship by placing him in a position of authority and by saying to him, “Well done good servant,” and by commending his faithfulness. That’s the passage about the ten minas entrusted to the ten servants, and we see there also the principle of degrees of rewards too. Not only did the master reward the good produce of his servants, but he rewarded them proportionate to their accomplishments. And so my point is simply this. It is good for servants to be humble about their accomplishments, and not to expect reward, but it is also good for masters to commend their servants’ accomplishments. Both of these are teaching of Jesus. As much as we ought not demand recognition and honor from God, yet we see Scripture teaching us that God will nonetheless recognize and honor the good accomplishments of his people. And so along with this passage, we recognize that good service is to be honored. That was true under King David’s reign. It continues under King Jesus’ reign. How humbling that is when we know that what we achieve for Christ is a function of his grace in our lives. And yet we shouldn’t miss that this is part of that grace. That he has so arranged things for us to pursue such excellence in service. Let us indeed strive for such. In our third point for today, we see a great example from three of the thirty of such excellence of service. I’m talking about this story of the water from the well at Bethlehem in verses 13-17. It’s a well-known and beloved story. David and his men were camped out near Bethlehem. Evidently the Philistine army on that occasion had come to occupy Bethlehem. Of course that’s David’s home town, so I’m sure that would have saddened David. And that’s when David expresses this longing for some water from Bethlehem in verse 15. Now, I am sure David wasn’t actually asking his men to go get that for him. Surely, it was just his expressing his desire that Bethlehem not be controlled by the Philistines. But three of his thirty took it literally and went and got him some of that water from Bethlehem. How brave of these mighty men! They were clearly eager to do something to please their king, even if it meant putting their lives on the line! And yet David in a right humility can’t personally accept their gift. That’s some of the right humility we just talked about that God’s people needed. Here their king demonstrates it with some humble servant leadership. David says that he is unworthy of such an honor because that water was purchased by the men risking their own lives for him. And so don’t miss what David does. Yes, he pours it out. But when he does this, he’s giving it as an offering to God. Verse 16 says that he poured it out to the LORD. So, he is giving it to God, instead of taking it for himself. In other words, David is saying that God alone is worthy of such water. David’s not worthy of it, but God is. And notice the sacramental language David uses here. As David pours out the water to the LORD, he equates the water with the men’s blood. He’s saying sacramentally, Lord I give this water to you which is the blood of the men who acquired it. He calls the water their blood which means he equates it with their lives. Remember Genesis 9 equates life with the blood. And so David essentially says he’s not worthy to drink the lifeblood of these men. And so instead he ceremonially gives it to God as an offering. It’s interesting to contrast this response of King David here to the response that Jesus gave when he was anointed in the New Testament with that extremely costly perfume. Remember how Judas suggested that such was a waste. It kind of came across as Judas suggesting that Jesus was not worthy of such a gift. But Jesus would not deny his worthiness to receive that costly perfume. Jesus even connected the perfume with his upcoming death on the cross, saying it was preparing his body for burial. So King Jesus does not deny his worthiness to receive such a costly gift. And Jesus is worthy of far more than just some costly perfume. If these three were so eager to serve King David, at risk to their own lives, how much more should we be eager to serve King Jesus. For King David was not deserving of these men’s blood. But King Jesus is fully deserving of our blood. How can we hold back in our service to him? And of course think of why Jesus is especially deserving of our blood? It’s because King Jesus gave his blood to us. We, unprofitable servants, unworthy of Christ’s blood, have received it in the full. And just so we don’t forget this, Jesus even gave us a sacrament to be regularly reminded of this fact. The cup which we drink, is it not the blood of Christ? When we partake of the supper, when we drink the wine, we are sacramentally drinking the lifeblood of Christ which was shed for us for the remission of sins. Saints of God, see the gospel again today from this passage. In reading of David’s unworthiness to drink the blood of his men, be driven back to the gospel. Be reminded of how unworthy we are to drink the blood of Christ, but see that Christ has nonetheless given it to us. How backward this seems in one sense. We should be the ones like David’s men to risk our lives for our king. But it is our king who sacrificed his life for us. Let us rejoice again today in the gospel. In closing brothers and sisters, I remember in Hebrews 11 that hall of faith, that list of many other saints who lived for the Lord. I see a sort of connection between that list and this list of David’s thirty mighty men. The Hebrews 11 lists says that these were men of whom the world was not worthy. And so Hebrews 12 exhort us in light of those men’s faith and labors in Christ, “Therefore, since we are surrounded by so great a cloud of witnesses, let us also lay aside every weight, and sin which clings so closely, and let us run with endurance the race that is set before us.” Did you catch the exhortation? It’s saying that all these heroes of the faith who endured amidst trial and tribulation, call us to do the same. That’s the application I give you today as we read about these honored mighty men of David. Let us look to all the more serve our great King. If the slogan “for God and country” inspires patriotism today, then may this passage inspire spiritual zeal in us. May David’s mighty men become a picture for us to seek, one where God uses us to serve the Lord’s anointed by the strength which he supplies. This is the message we see the New Testament bring to us. Like in 1 Corinthians where Paul says to run so as to win the prize. Let us indeed fight the good fight, and finish the race. And let us do so looking to leave a spiritual legacy behind us. Let us even be motivated at the prospect of reward. We should not feel bad having this motivation of reward before us, because God is the one who provided this motivation for us. Let us then press on. Let us strive for excellence. Let us fight for our king. Let us look to advance his kingdom. Let us do so especially knowing all that Jesus has already done for us, and for our salvation. Amen.